According to the archeological evidence the site was inhabited as early as the Stone Age. 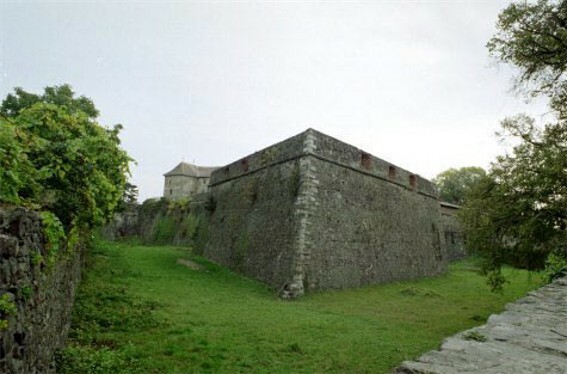 A Slavic tribe of White Croatians founded a fortified settlement there in the 8th or 9th century. Early in the 10th century it was controlled by the Hungarians and then by Kyivan Rus’. 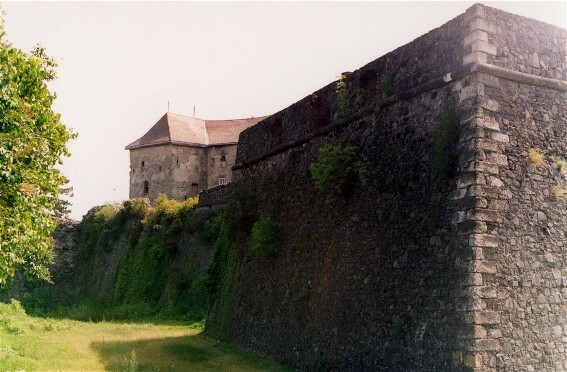 Hungary regained control of the town in the 11th century and remained the dominant influence there until the 20th century. 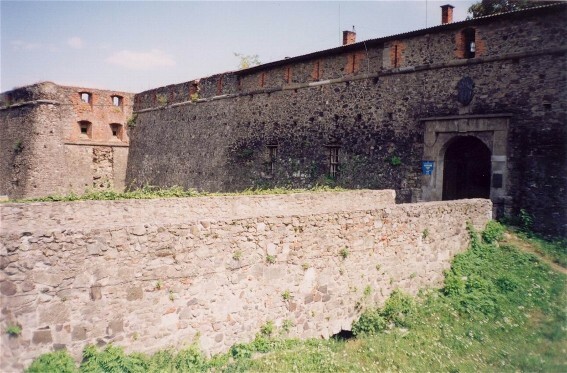 Uzhhorod was sacked by the Tatars in 1242, and its fortress was destroyed. Its economy was initially based on wine-making industry, agriculture, and animal husbandry. Trade and manufacturing, stimulated by the town's military and administrative needs, developed through the 15th to 18th centuries. 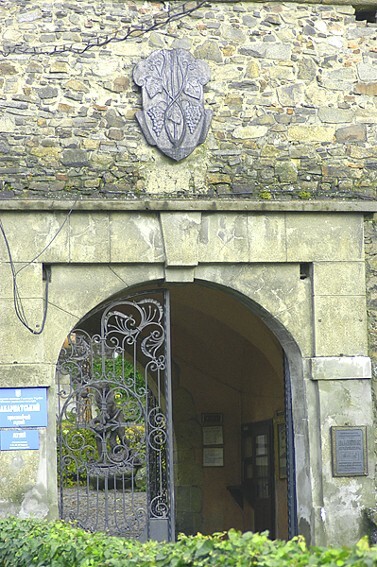 The religious struggle of the 17th century culminated in the Uzhhorod Union of 1646. 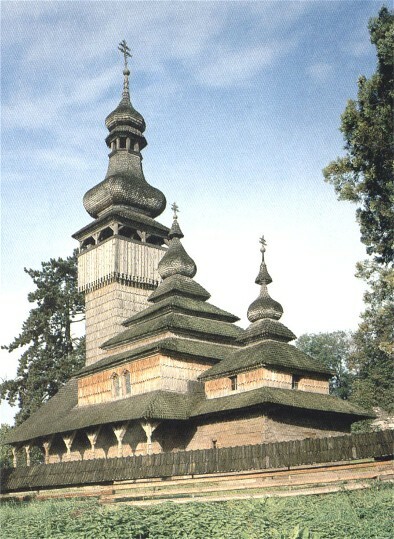 In the late 1770s Bishop Andrii Bachynsky transferred the seat of Mukachevo eparchy to Uzhhorod. By the end of the century a theological seminary and teachers' seminary had been established there. The Austrian Habsburg dynasty won control of Uzhhorod in 1691, and the city became involved in Hungarian attempts to throw off Austrian rule—in the Rákóczi uprising of 1703–11 and the Revolution of 1848–9 in the Habsburg monarchy. With the defeat of the revolution the Ukrainian cultural movement in Uzhhorod gained strength for a time. The Society of Saint Basil the Great, the Uniia publishing society, and Ukrainian schools were established. 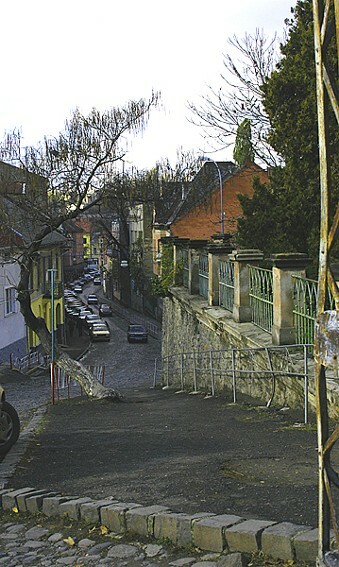 Most of the movement's leaders worked in Uzhhorod, although they found little support there, for the city was inhabited mostly by Hungarians, Jews, and Slovaks. In 1848 the city was granted self-government, and began the process of modernization. A sewage system was built in 1855, and a railway link with Chop was established in 1872. A new gymnasium was erected in 1894. The wine-making industry was expanded, and new manufacturing industries (furniture-making, woodworking, brick-making) were introduced. Trade and commerce increased. The population grew from 3,000 in 1800 to 9,750 in 1860 and 14,700 in 1900. 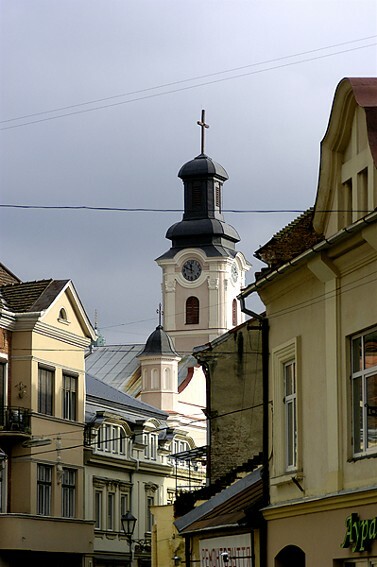 With Transcarpathia's incorporation into Czechoslovakia after the First World War, Uzhhorod became the capital of Subcarpathian Ruthenia, the seat of the governor and the administration, and a center of Ukrainian life. 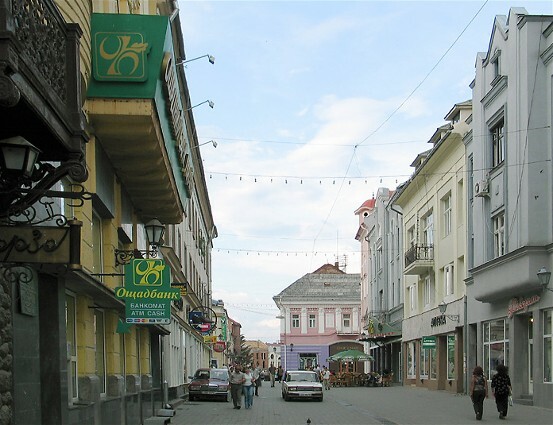 Ukrainian cultural organizations, such as the Prosvita society, the Russophile Dukhnovych Society, and the Ruthenian People's Theater, and economic institutions, such as the Subcarpathian Bank and the Co-operative Union, set up their regional centers in Uzhhorod. 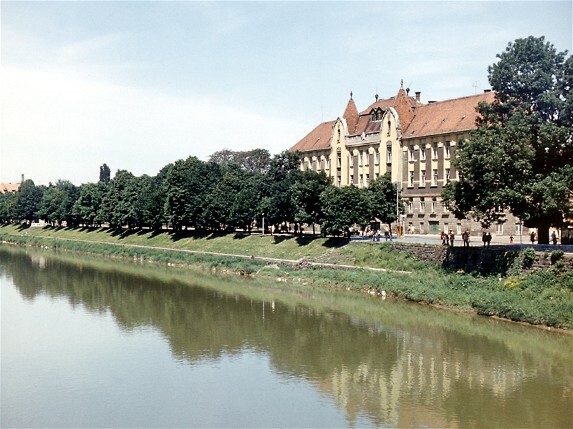 In the 1930s a new administrative district was developed on the right bank of the Uzh River. There was a Ukrainian gymnasium (see Uzhhorod gymnasium) in the city. 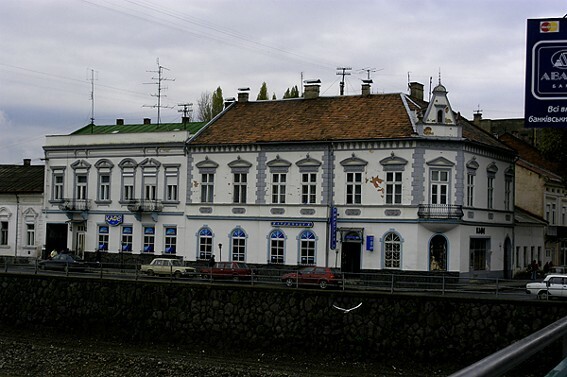 When Uzhhorod was transferred to Hungary in accordance with the Vienna award of 2 November 1938, the government of autonomous Carpatho-Ukraine moved to Khust. In 1939–44 the city continued to be a center of Ukrainian cultural and civic life. 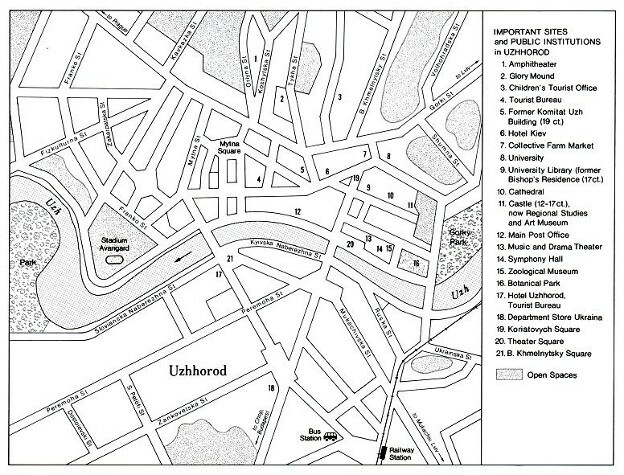 Uzhhorod was occupied by Soviet forces in November 1944 and became the seat of the People's Council of Transcarpathian Ukraine, which called for the territory's unification with the Ukrainian SSR. 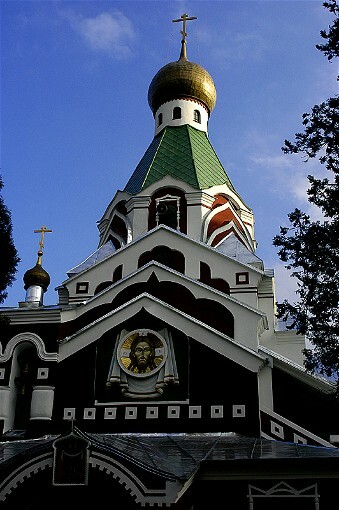 In January 1946 it became the capital of Transcarpathia oblast. 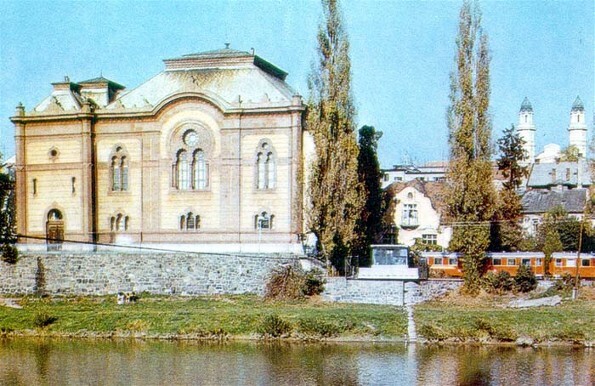 New cultural institutions, many of them regional in scope, were established in the city, including a philharmonic orchestra, a folk-song and -dance ensemble, a theater company, a regional studies museum, a picture gallery, Uzhhorod University, and a publishing house (later renamed Karpaty). Later a museum of folk architecture and folkways was set up. Today the city is an industrial and communications center. 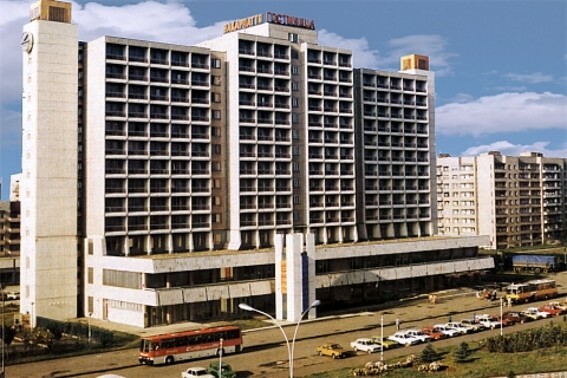 It has strong machine building industry (Uzhhorodprylad), woodworking industry (plywood and furniture manufacturing complex), light industry (footwear industry and clothing industry), food industry (winery, cannery, meat packers, distillery) and building-materials industry (reinforced-concrete industry, brick industry, tiles). A hydroelectric power station provides energy to run the industries. Tourism plays an important role in the local economy. In addition to the university there are five vocational and fifteen specialized secondary schools in the city. 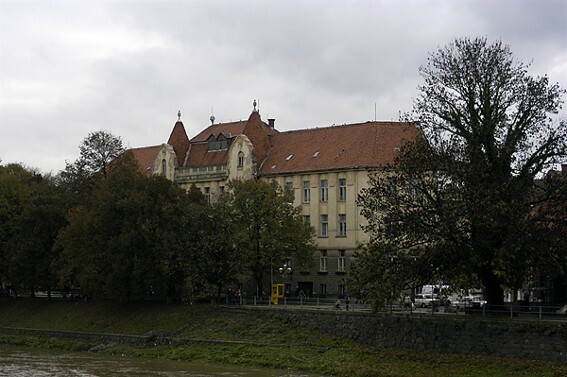 A number of scientific research institutions, such as branches of the Institute of Nuclear Research and the Institute of Social and Economic Problems of Foreign Countries of the National Academy of Sciences of Ukraine, are located in Uzhhorod. The main architectural monuments are the fortress (built in 1598 and reconstructed in the 17th century), the episcopal palace (1646, now the university library), the Ukrainian Greek Catholic Cathedral of the Elevation of the Cross (1780), Saint George's Roman Catholic Cathedral (1762), the gymnasium (1784), the town hall (1810), the former synagogue (1904, now the philharmonic hall), and the wooden church moved there from the Shelestove village (1777).